Browse through our selection of fly fishing fly boxes with individual compartments. Some of these fly boxes have individual lids for each compartment. Some do not. Others are waterproof. Some of these boxes have magnetic bottoms, to keep flies from blowing out of the box on windy days. 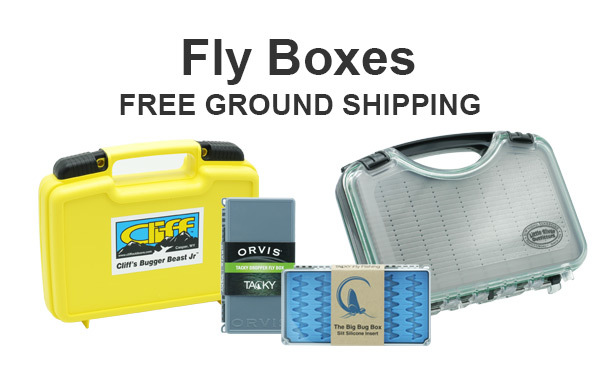 Compartment fly boxes are very popular among fly fishing anglers. You can order here online, or call us at 865-448-9459 to order. Ground Shipping is Free.